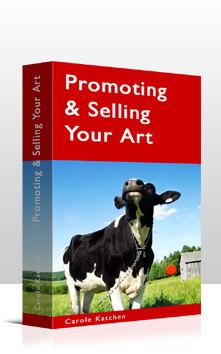 Promoting & Selling Your Art is a highly readable, informative book for artists who have talent and ambition, but limited business experience. If you happen to be an illustrator or photographer interested in expanding your market beyond those in advertising and editorial (this) would be (a) most valuable addition to your library. It�s a fascinating, well-written account of the artist�s life which will be well worth a gallery owner�s time to read. 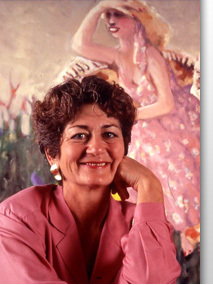 There is a wealth of information in Katchen�s book and though some of it might not seem right or relevant for a particular artist, there is a great deal more that should prove valid and valuable for every artist. (This book) represents the kind of information anyone, professional or amateur, should know in order to protect their rights and establish their reputation in the art world. Ms. Katchen has covered all grounds thoroughly. The results are sheer practicality. The professional artist should read it, study it and apply it. The versatile volume offers sound marketing advice aimed particularly at artists on the thresholds of their careers.